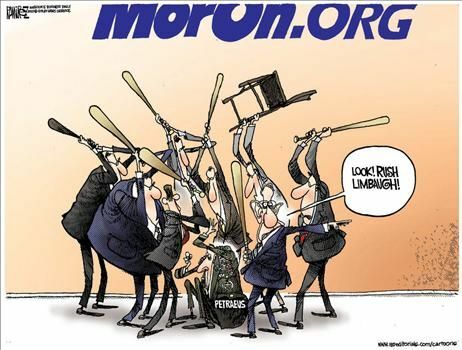 RUSH LIMBAUGH AND A CONGRESSIONAL RESOULTUION ? DEMOCRATS PROMOTE THE HEALTH CARE LIE! Looking at the bright side - at least the Dems are spending more time with false attacks and lies than legislating to SCREW UP THE COUNTRY! 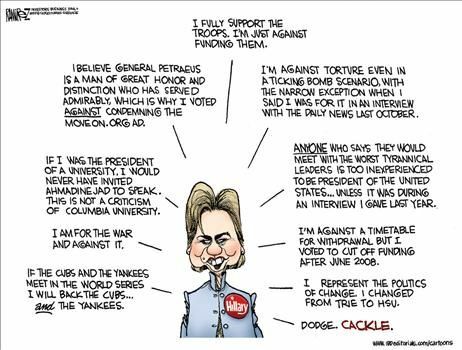 The many sides and voices of the Hildabeast. Whatever it takes to get a vote. If there was ever ANY question as to who pulls the strings of the Democrat puppets, recent moves against General Patraeus and Rush Limbaugh have removed any doubt! You're right, at least they couldnt screw up the Country this week they were to busy bashing Rush. 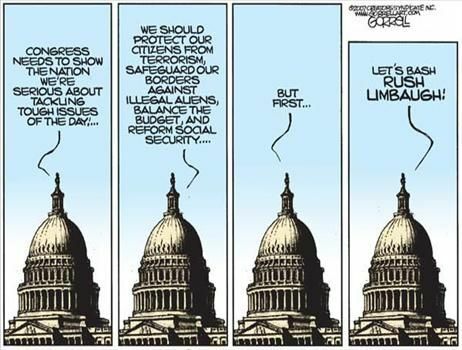 I never thought I would wish for Congress to take another break, but I really wish they would. I mean it's not like they are accomplishing anything anyway. 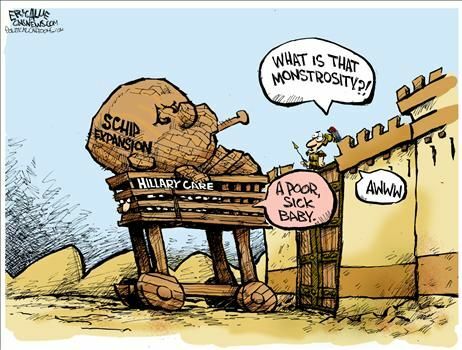 I don't know which I liked better: the Trojan Horse Baby or the Moron.org cartoon. 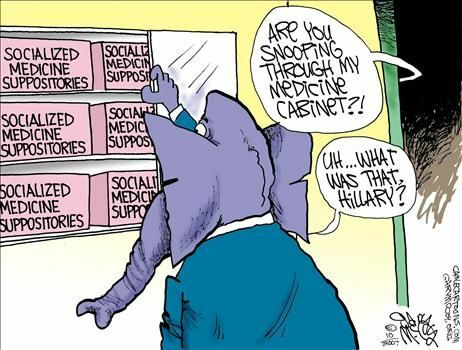 But ALL the cartoons show a common theme: Democrats will do anything for power. They have no principle, no center, NOTHING but a lust for power. And power without principle is corrupting.